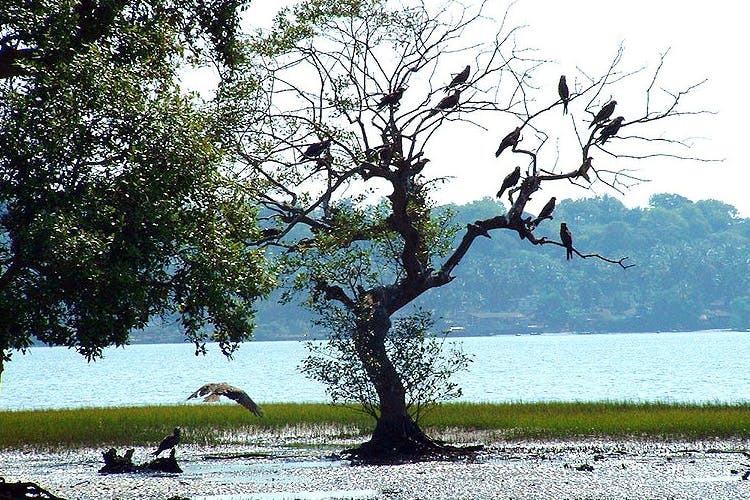 Home to diverse migratory and native species of birds, Uppalapadu Bird Sanctuary is located 10 km away from Guntur. And it's where offbeat travelers go for their share of bird watching. Fancy watching pelicans and common teals? Walk into the wild at this sanctuary and be girdled by the chitter chatter of birds. Gusts of fresh air and the varieties of birds are sure to overwhelm any nature enthusiast, and for a bird lover, this is a paradise in disguise. The sanctuary has more than 7,000 species of birds and several birds migrate from Australia and Serbia. While pelicans are the most found species here, you'll also spot painted storks, black-headed ibis, pintail ducks, jungle crows. Several ponds are dotted inside the sanctuary, which ensures different species of fish too. Take a walk inside the park, explore the nooks and corners, take a fellow bird enthusiast who can tell you a thing or two about the birds and yup, don't forget to pack a picnic basket to have your little Enid Blyton moment under the trees. There are no stay facilities in Uppalapadu and the nearest stay can be found 10 km away in Guntur. If you are not up for a road trip, take a train to Guntur and reach Uppalapadu via road. It takes 30 minutes only. Also, October-March is the best time to visit.